Of all the types of noise and harmful interference that hams have to deal with, none is so ubiquitous, annoying, and devastating as power line noise (PLN). By that term, we mean radio frequency interference (RFI) that comes from sparking/arcing utility pole hardware. It is broad-banded, often very strong, and sometimes difficult to get fixed. The harmful interference generated can completely ruin your ham radio experience, unless all you do is talk on local FM repeaters. 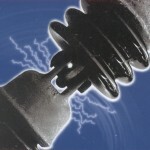 In a desperate effort to get the power line noise fixed where I live (north Texas), I have created this little web site. My purpose here is to publish audi o/video files of what I used to live with, but more importantly, to provide helpful notes and links to other sites. Many hams have this problem, so I hope that some of the comments, references, and links will be useful to others.